Country building sites just 1 mile south of Shawano. 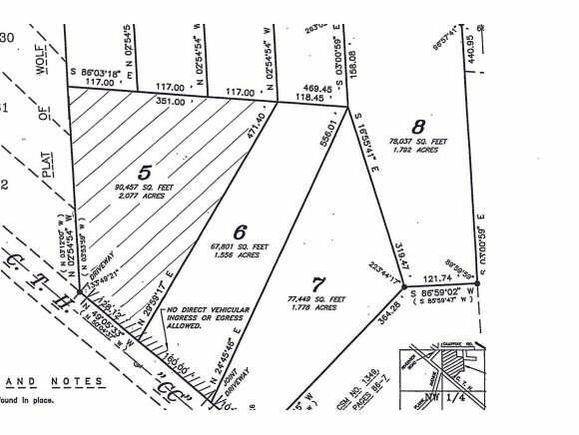 These 1 to 2 acre building sites are just what you are looking for, offering a country setting, close to downtown Shawano and schools and with easy access to Hwy 29, too! Possible seller financing available. Note: Lot 5 has a designated driveway location indicated on plat. From Shawano, take Hwy 22 South, then left on Cty CC to lot on left. The details on HWY CC: This land located in Shawano, WI 54166 is currently for sale for $16,900. HWY CC is a – square foot land with – beds and – baths that has been on Estately for 976 days. This land is in the attendance area of Shawano Community Middle School, Olga Brener Elementary School, Hillcrest Primary School, and Shawano High School.